The JetVent Control Center communicates with JetVent fans, sensors, detectors, and supply and exhaust fans, to dynamically control ventilation according to pollutant, smoke, or temperature levels in the space. This Control Center offers significant energy savings through comprehensive ventilation management — it costs less to install, is simple to commission, and easy to monitor. JetVent Fans Control Center is designed as a complete stand-alone garage ventilation management control system that generates significant energy savings. The pre-configured Control Center responds to varying levels of pollutants, as reported by the sensors, and varies the operating speed of the fans. 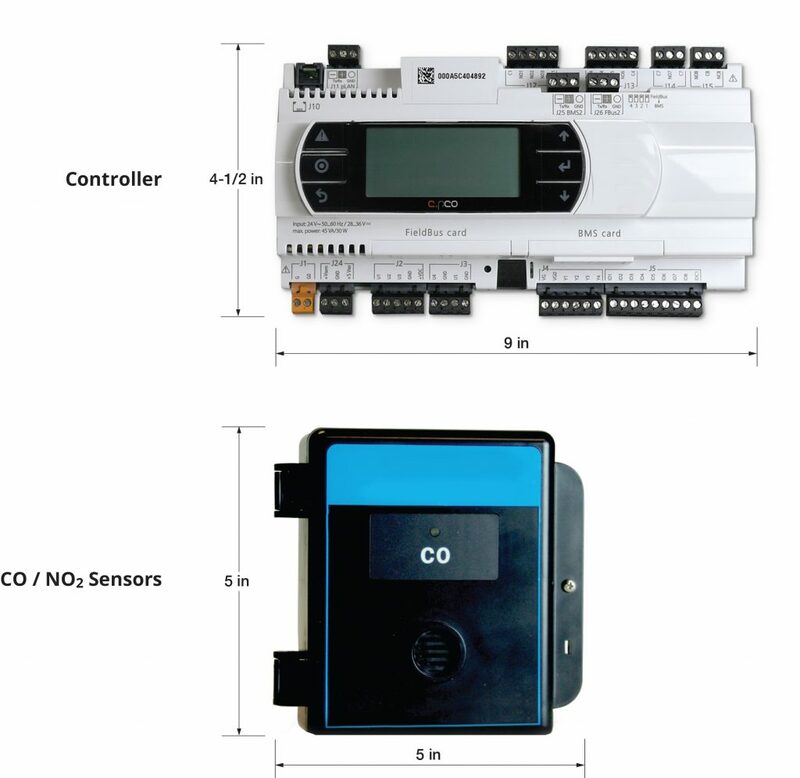 The Control Center can also vary the speed of supply and exhaust fans and integrate their operation with overall ventilation requirements based on pre-configured environmental conditions.